Providing e-books to revive your soul. ILM reader brings the best books in your hand no matter where you are. It’s available as a free download from the App Store on your iOS device. So you can fill your iPad, iPhone, iPod touch, with everything to revive your soul. No matter where you are, you have your favorite books within your reach. 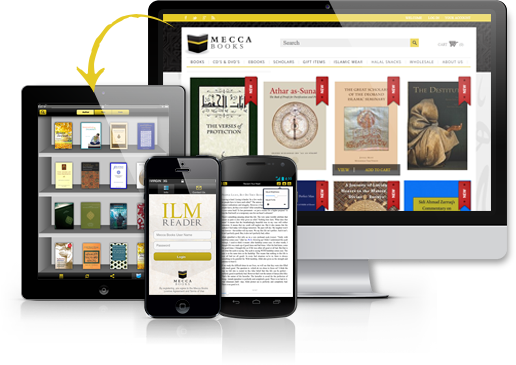 You can buy from our increasing number of eBooks listing via website Mecca Books. Just buy the eBook like you would buy any other book and checkout. Once the order is confirmed, use the same user ID to login in the ILM Reader app and your purchases will be available in the ILM Shelf. 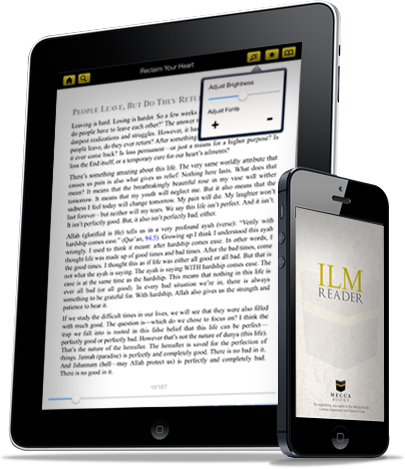 ILM Reader provides you similar reading experience as reading a traditional book. But once you get started, you’ll see that it’s so much more. 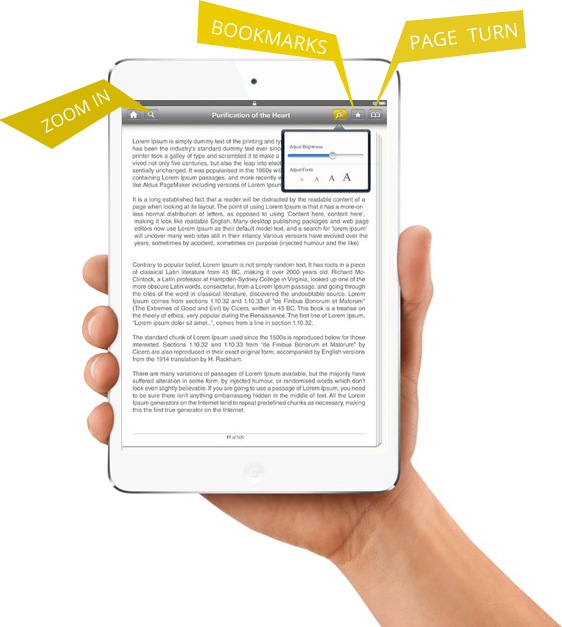 Flick anywhere on the page to turn pages. Change Font size at your will, few things not possible with the traditional books. 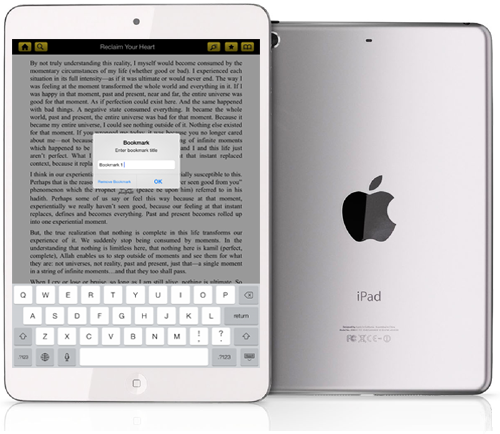 It does not matter if you own multiple devices, just login using your account and you will be able to read your books on all devices. So it doesn’t matter if you are commuting, because you can use your iPhone to continue reading, or just lie on your couch and read on your iPad. Bookmarks and Definitions as much as you would like. You can create multiple Bookmarks in the books, and get definition of the word by holding down on the word and selecting "Define"
"The below letter requires no explanation. We hope it provides credence and comfort that Prophet Muhammad (sa)... "